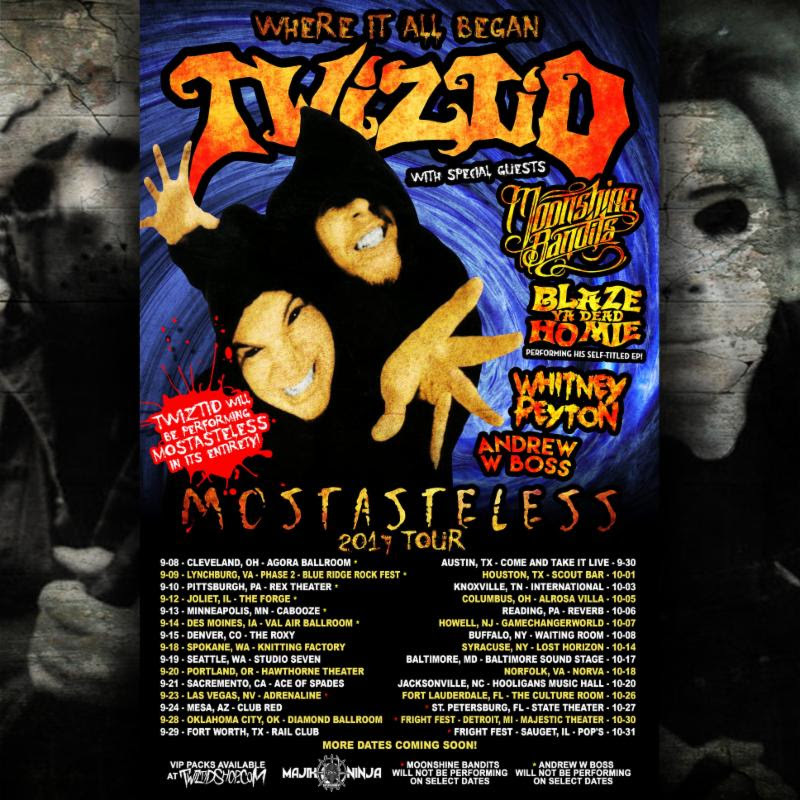 TWIZTID are about to take you back to where it all began. Everyone's favorite demented duo are thrilled to announce their upcoming Mostasteless Tour, kicking off in Cleveland, OH on September 8. On this tour, TWIZTID will perform their groundbreaking debut album, Mostasteless, in full each night. The tour will also feature support from special guests Moonshine Bandits, Blaze Ya Dead Homie (who will perform his self-titled EP in full each night), Whitney Peyton and Andrew W Boss. TWIZTID says: "We've been an unstoppable force for 20 years! Now, we're bringing you back to where it all began... MOSTASTELESS!" For tickets, VIP and more information, visit www.TwiztidShop.com.